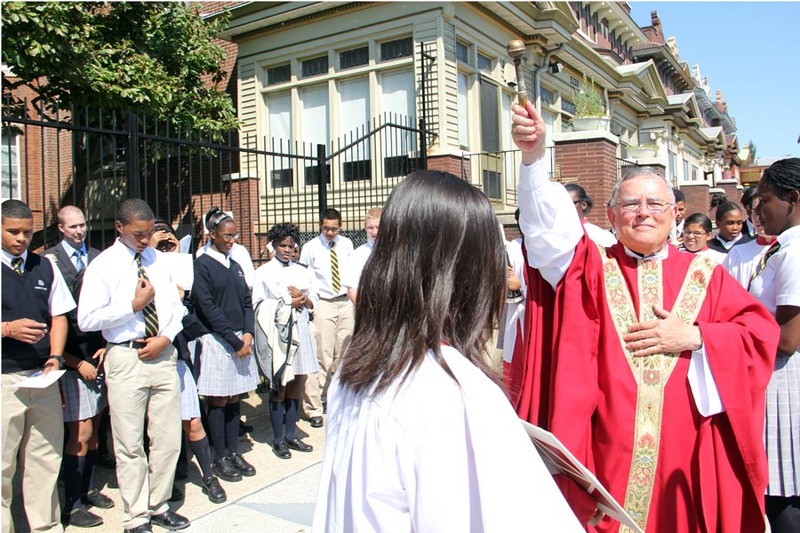 Archbishop Charles Chaput opened the school year of the new Cristo Rey Philadelphia High School at 5200 N. Broad St. on Aug. 30, with Mass followed by a blessing of the school entrance where students lined the path. Cristo Rey Schools offer a unique curriculum that combines academics, extracurricular activities, and corporate work experience to prepare students for success in college and beyond. A great school sponsored by the Oblates of St. Francis de Sales and the Sisters of the Immaculate Heart of Mary. These projects are where the Catholic Church shines forth magnificently !